Watercolor and ink on 8 1/2" x 10" watercolor paper. 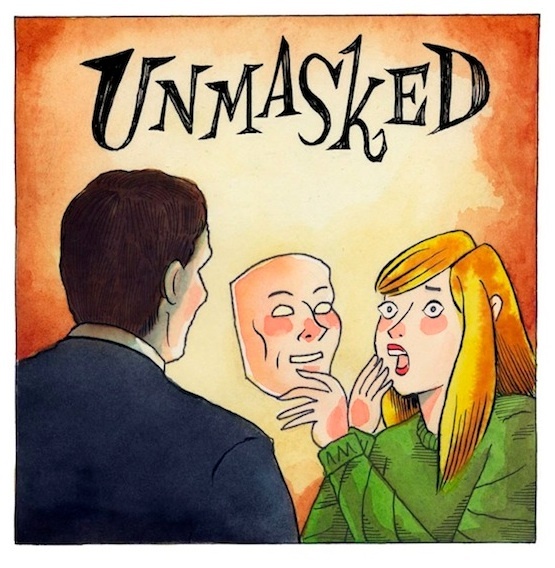 Cover (or title page) for the "Unmasked" series. Will be neatly signed just outside the panel on the bottom right.